The following is a list of useful links to websites describing some of the projects, activities and organisations relevant to ‘Sources of Pollution’. APIS is a comprehensive source of information on air pollution and the effects on habitats and species. 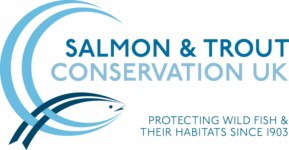 It is a partnership of UK conservation agencies, regulatory agencies and the Centre for Ecology and Hydrology. It can be interrogated by pollutant, habitat or impact. Includes a starter’s guide to air pollution and pollution sources. This is a coalition of 18 environmental, water efficiency and fisheries organisations, brought together by Wildlife and Countryside Link, working to develop solutions to the water issues facing England. 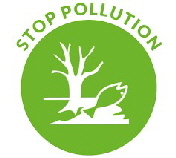 One of the goals is ‘Stop Pollution’, working towards a system where pollutants are dealt with at source. Water Matters – Includes a section ‘Stop pollution in our waters’. This platform was developed by the Catchment Management for Water Quality Project, a multi-agency funded project to improve access to and integration between data and models used to address key questions in catchment management for water quality and wider ecosystem services. The potential benefits of using these data and models are demonstrated through a series of case studies. Multiple pollutant and ecosystem services responses to land management policies and agri-environment interventions at the farm to catchment scale. 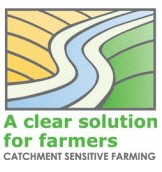 Catchment Sensitive Farming (CSF) is a project run by Natural England in partnership with the Environment Agency and the Department for Environment, Food and Rural Affairs. CSF delivers practical solutions and targeted support which should enable farmers and land managers to take voluntary action to reduce diffuse water pollution from agriculture to protect water bodies and the environment. Free training and advice is provided in selected areas in England. One of CEH’s Science Issues is the impact of agriculture on the environment including the effect of fertilisers on water quality and the response of plants to nitrogen pollution. UK Pollutant Deposition - Air pollutants have a wide range of effects in the environment. Poor air quality can affect human health, while deposition of air pollutants back to earth can affect ecosystems, changing biodiversity and reducing water quality. This site provides UK information on atmospheric deposition, as supported by Defra and the UK Devolved Administrations. UKEAP - United Kingdom Eutrophying & Acidifying Network (funded by Defra) - measures air pollutants at rural sites across the UK. UK National Ammonia Monitoring Network (NAMN) is one of the components of UKEAP. A public/private partnership concerning contaminated land, involving stakeholders from government policy makers, regulators, industry, research organisations and technology developers. It facilitates the development of cost-effective methods of investigating and remediating contaminated land in a sustainable way. A valuable source of information on pollution matters. A selection is listed below. The Defra Policy paper ‘2010 to 2015 government policy: water quality’, includes Appendix 3: reducing and controlling agricultural pollution. Consultation on ‘New rules to tackle diffuse pollution from agriculture in England’ ran from 30 September 2015 to 23 November 2015. Proposal for a small number of new basic rules to help tackle diffuse water pollution from agriculture and improve farm efficiency. Nitrate Vulnerable Zones (NVZs) are areas designated as being at risk from agricultural nitrate pollution. They include about 58% of land in England. Department for Defra reviews NVZs every 4 years to account for changes in water pollution. Method statements setting out processes used to identify waters polluted by nitrate from agriculture. These were used to review NVZs and determine the Zones that will apply from 2017 to 2020. Demonstration Test Catchments (DTC) is a UK government-funded project designed to provide robust evidence regarding how diffuse pollution from agriculture can be cost-effectively controlled to improve and maintain water quality in rural river catchment areas. The DAERA website provides information about water pollution management in Northern Ireland including the role of the operations team in relation to pollution prevention, pollution response and enforcement actions. The website also provides information on farm waste management, Nitrate Vulnerable Zones, agri-environment schemes and similar. Guidance to protect groundwater and prevent groundwater pollution. Published 14 March 2017. Understand when activities affect groundwater, what permissions are needed and how to prevent pollution. Rural sustainable drainage systems (2012): Collation of evidence that supports a group of measures to intercept field run-off. The Environmental Change Network is the UK’s long-term environmental monitoring programme established in 1992. It is designed to collect, store, analyse and interpret long-term data based on a set of key physical, chemical and biological variables which drive and respond to environmental change at a range of terrestrial and freshwater sites across the UK. The site contains time series data on nutrient levels in rivers and lakes. Nutrients in freshwater: this indicator shows concentrations of orthophosphate and nitrate in rivers, total phosphorus in lakes and nitrate in groundwater bodies. The indicator can be used to illustrate geographical variations in current nutrient concentrations and temporal trends. EUGRIS is an information portal which provides research project information, technical information and information from the European Union and its Member States. The Farming and Wildlife Advisory Group (FWAG) provided farmers, landowners and its other clients with advice for environmental gain through cost-effective, quality solutions. In 2011 the national FWAG Association succeeded the original Farming and Wildlife Advisory Group. The FWAG Association represents a coming together of the local Farming & Wildlife Advisory Groups. These groups are continuing to provide valuable services and advice, including projects with catchment partnerships involved in river water quality and pollution. How to plan and control nutrient levels, previously known as the Code of Good Agricultural Practice (CoGAP). Land contamination: remedial targets methodology (RTM) - Hydrogeological risk assessment guidance and tool to set targets to remediate (clean up) contaminated land or groundwater. 'Targeted Research for improving understanding of the Global Nitrogen Cycle towards the establishment of an International Nitrogen Management System (INMS)' is a project proposal to the Global Environment Facility (GEF) Trust Fund. This new international management system to fight nitrogen pollution will be executed through the UK Natural Environment Research Council (NERC), and its Centre for Ecology & Hydrology (CEH). The aim is for better management across the nitrogen cycle to contribute to improving Economy-Wide Nitrogen Use Efficiency, while reducing surplus that would often be wasted as pollution. Linking Environment And Farming (LEAF) was set up in 1991 by farmers, environmentalists, food and agricultural organisations, consumers, government and academics to promote sustainable agriculture, food and farming. There are LEAF demonstration farms throughout the country where you can see Integrated Farm Management (IFM) in practice. LEAF Education builds on the work of FACE (Farming and Countryside Education) following the successful merger with LEAF in 2017. This was a Natural Environment Research Council Research programme (2000 – 2006) which undertook detailed, interdisciplinary, integrated hydro-environmental research relating to the storage-discharge cycle and groundwater-dominated aquatic habitats in three flagship catchments: the Frome/Piddle in Dorset, the Pang/Lambourn in Berkshire, and the Tern in Shropshire. Researchers also investigated how fine sediments and chemicals (including fertiliser residues) move, and their effects on in-stream, riparian and wetland habitats within these catchments. The new LOCAR water management website was launched in 2008. MarBEF, a network of excellence funded by the European Union and consisting of 94 European marine institutes, was a platform to integrate and disseminate knowledge and expertise on marine biodiversity. The project ended in 2009. The coastal wiki also has information on the effects of high nutrient status on coastal waters. Catchment Sensitive Farming is a project run by Natural England in partnership with the Environment Agency and Defra. The Countryside Stewardship scheme provides funding for environmental land management including reducing widespread water pollution from agriculture. The impact of phosphorus inputs from small discharges on designated freshwater sites. 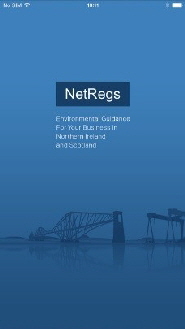 NetRegs is a partnership between the Northern Ireland Environment Agency (NIEA) and Scottish Environment Protection Agency (SEPA). Pollution Prevention Guidelines (PPGs) are being replaced by "Guidance for Pollution Prevention" (GPPs). The new series will provide environmental good practice guidance for the whole UK, and environmental regulatory guidance directly to Northern Ireland, Scotland and Wales. For businesses in England, regulatory guidance is available from GOV.UK instead. Water pollution is a factor in key issues tackled by the Rivers Trust including water quality, river restoration and collaborative water management. Pinpoint project - Working with farmers and land managers to reduce diffuse pollution from agriculture. This is a partnership initiative between The Rivers Trust and Catchment Sensitive Farming (CSF). Pinpoint provides training and support to rivers trusts, CSF staff and other relevant organisations so that they, in turn, can provide good advice and support to farmers to help reduce diffuse water pollution from agriculture (DWPA). The Project has been running since 2009 and is ongoing. Water Stewardship service to help businesses work together to deliver sustainable solutions for water. The project started in April 2017 and will run initially for 12months. The pollution section of the website covers diffuse urban pollution, agricultural pollution, what the S&TCUK has achieved so far and what still needs to be done. The Scottish Agricultural Pollution Group (SAPG) comprises representatives of the Scottish Executive Environment and Rural Affairs Department (SEERAD), the Scottish Environment Protection Agency (SEPA), the Scottish Agricultural College (SAC) and the National Farmers' Union (Scotland) (NFUS). The SAPG has responsibility for the content of the PEPFAA Code (Prevention of Environmental Pollution from Agricultural Activity), and for its revision. The PEPFAA Code provides practical guidance for farmers, to help minimise the risk of causing environmental pollution through farming activities. Scottish Environment Protection Agency (SEPA) website provides information on diffuse pollution in both rural and urban environments. A programme of rural diffuse pollution work started in March 2010, to help deliver the objectives outlined in the river basin management plans (RBMPs) for the Scotland and Solway-Tweed river basin districts. Diffuse pollution priority catchments have been identified by SEPA as catchments failing to meet environmental standards. SEPA produces an annual classification for all the water bodies in Scotland. The SEPA website also gives a broad introduction to contaminated land and impact of water environment. Innovative Solutions to Minimize Phosphorus Losses from Agriculture. This website is run by the Southern Extension-Research Activity (SERA-17), a network of universities, research organisations and agriculturalists in the USA. It contains some useful publications and information. Reauthorized as a Multistate Extension and Research Activity in October 2013 to bring together a diversity of disciplines to discuss, disseminate, coordinate, and facilitate the research and management needs related to the management of nutrients (particularly P), transport in surface and subsurface flows, and their impact on the quality of receiving waters. Susdrain is the Construction Industries Research and Information Association’s (CIRIA) Community for Sustainable Drainage. It provides a range of resources for sharing information on the delivery of sustainable drainage. UK-wide network for researchers, practitioners, agencies, developers and others interested in SUDS. The UK Eutrophying and Acidifying Pollutants (UKEAP) network project measures air pollutants at rural sites across the UK with emphasis on the assessment of potential impacts on UK ecosystems. UKEAP-Acid Gas and Aerosol Network (AGANet) - consists of 30 sites. UKEAP - National Ammonia Monitoring Network (NAMN) - A network of 95 sites has been established to monitor atmospheric ammonia and ammonium content across the UK. This helps to determine the effectiveness of policies to reduce ammonia emissions. UKEAP - NO2-diffusion tube Network (NO2-Net) Nitrogen Dioxide - Nitrogen dioxide measurements are made at 24 of the 38 PrecipNet composition sites. UKEAP - Precipitation Network (PrecipNet) PrecipNet - consists of 38 sites at which the chemical composition of precipitation (ie rainwater) is measured. This project was funded by Defra and NERC. It looked at causes of eutrophication and acidification in terrestrial ecosystems by investigating the impacts of nitrogen deposition, caused by the air pollutants ammonia and nitrogen oxides, on semi-natural ecosystems. It aimed to demonstrate the impacts of these air pollutants on sensitive habitats, and to develop models and tools to assist the policymaker in understanding what more needs to be done to reduce the adverse effects. US EPA information detailing measures to reduce pollution from both agriculture and non-point sources in general. The National Nonpoint Source Report: a national snapshot of NPS activities underway across the United States and the people who are making it happen. This website provides useful information about the sources of water pollution, its dangers, how it can be treated, and how it can be prevented.